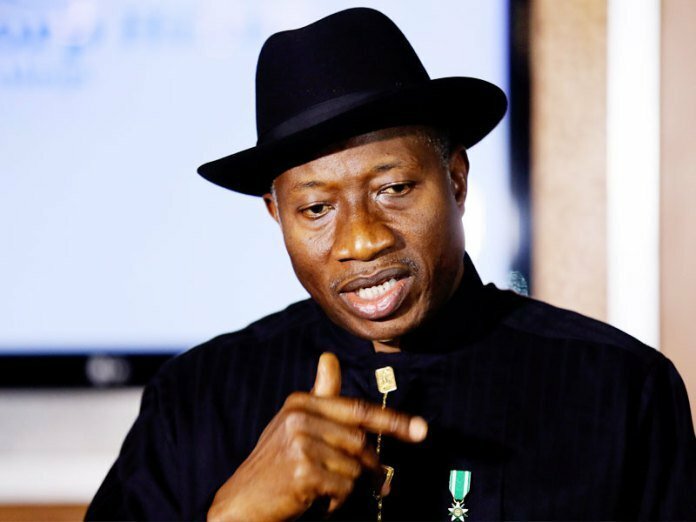 Former President, Goodluck Jonathan has reacted to claims by Vice President, Prof. Yemi Osinbajo that he left Nigeria with debt and ruined the economy due to the alleged corruption under his watch. The Vice President had during a lecture entitled, â€œRestructuring and the Nigerian federation,â€ delivered as part of activities marking the 40th anniversary of Association of Friends in Lagos yesterday, accused the immediate past government of President Goodluck Jonathan, of throwing Nigeria into untold hardship, recession and debt. But reacting in a statement made available to DAILY POST by Reno Omokri (for Dr. Goodluck Jonathan), the former President wondered why Osinbajo, who, according to him, was recently indicted by the House of Representatives for an alleged worse corruption in Nigeria, should point accusing fingers at him(Jonathan). The statement continues, â€œMy attention has been drawn to regurgitated and discredited allegations by Vice President Yemi Osinbajo blaming former President Jonathan of saddling Nigeria with debt and ruining the economy by the alleged corruption of his administration. â€œHow can Vice President Osinbajo, a man who had just been indicted by the House of Representatives in one of the biggest corruption scams ever in Nigeriaâ€™s history, have the gall to point accusing fingers on Dr. Jonathan, a man that is celebrated internationally for his efforts at achieving Nigeriaâ€™s best rating in Transparency Internationalâ€™s annual Corruption Perception Rating when Nigeria improved 8 paces from 144 to 136 in 2014? â€œHaving read through the sordid details of Professor Osinbajoâ€™s corruption as revealed in the indictment by Nigeriaâ€™s House of Representatives, it is easy to understand why Nigeria made her worst ever retrogression in Transparency Internationalâ€™s annual Corruption Perception under him this year, moving 11 paces backwards from 136 to 148.
â€œOn the issue of debt, the fact remains that in the entire 16 years that the Peoples Democratic Party governed Nigeria, the total amount of money borrowed was â‚¦8.06 trillion Naira. These are facts sourced directly from the budget office controlled by the Buhari administration. â€œHowever, in only 3 years, the All Progressives Congress-led administration of President Muhammadu Buhari has borrowed a total of â‚¦10 trillion Naira. With this fact in hand, where does Vice President Osinbajo have the moral authority to point leprous fingers at former President Jonathan? â€œThe claim by Vice President Osinbajo that former President Jonathan left $$63 billion in debt is also a false claim. The Jonathan administration inherited $42.23 billion in debt in 2011 which were debts borrowed by the states and the Federal Government. â€œThroughout the five years that he was President, former President Jonathan incurred the wrath of several state governments because his administration refused to guarantee their foreign loans. â€œThe reason that Nigeriaâ€™s debt has ballooned under this administration is because the Federal Government lacks the discipline that Jonathan had and are thus unable to curb borrowing by both the Federal Government and the states. â€œFor example, on Tuesday, November 13, 2018, the Debt Management Office revealed that in just 2017 alone, the Buhari administration borrowed â‚¦2.4 trillion to fund their budget deficit. This is besides other loans that they took in 2017 alone. That money is more than the funds borrowed by the Jonathan administration in 5 years! â€œTo show to Nigerians the profligacy and ineptitude of the current administration, I draw their attention to the fact that between July and August 2018, the Buhari administration claimed it had shared $322 million Abacha funds recovered by the Jonathan administration to the poor. Then a week after it made that announcement, the Buhari government borrowed $328 million from China. â€œThe question is this, why would you share out $322 million one week only to borrow the same amount next week? Why not use the Abacha funds to fund government activities instead of adding to the already strained debt burden?